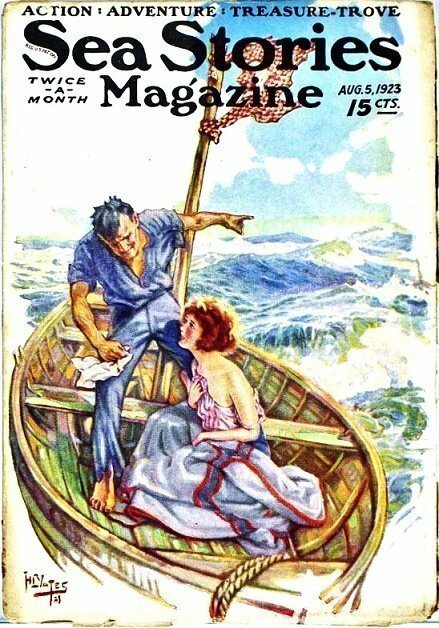 “Jane Hardy, Shipmaster” (“Captain Michael O’Shea” appearance) by Ralph D. Paine (all 5 stories in SEA STORIES were reprints from The POPULAR MAGAZINE from 1912 and 1913). 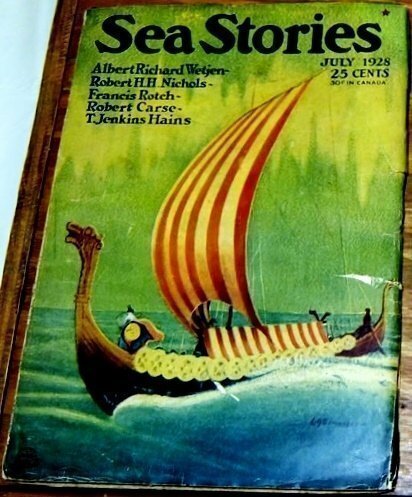 Feb. 1929 – Authors: Robert Carse is the only prolific author here. Size – about 7×10″ No. 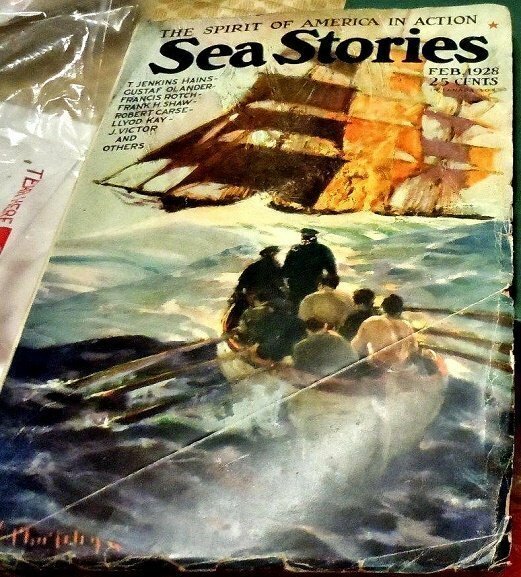 Pages – the April issue contains 192 pages of articles, the February issue contains 144 pages plus some advertising pages. 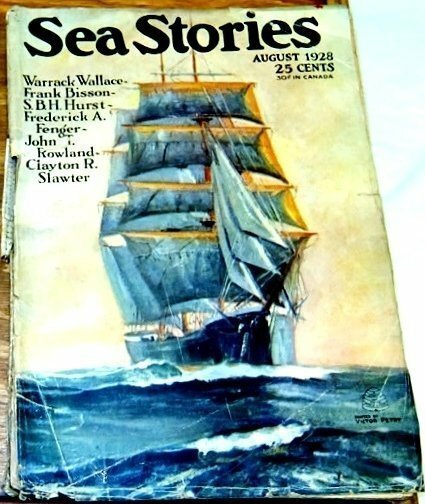 Size – about 7×10″ No. 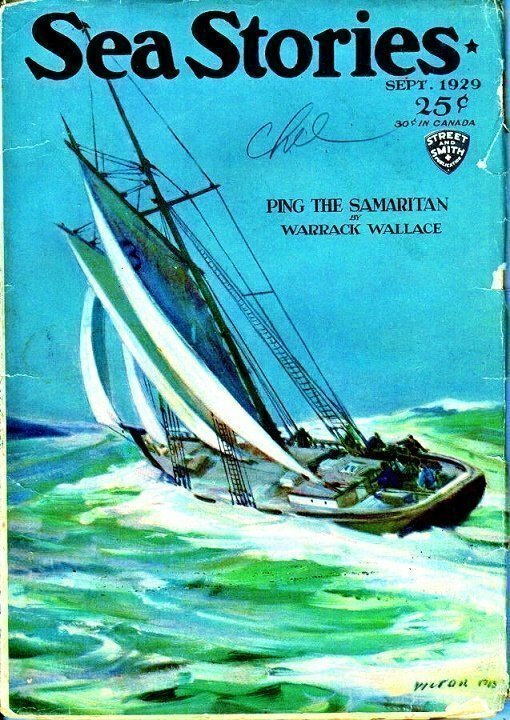 Pages – each issue contains 144 pages of articles, plus some advertising pages. 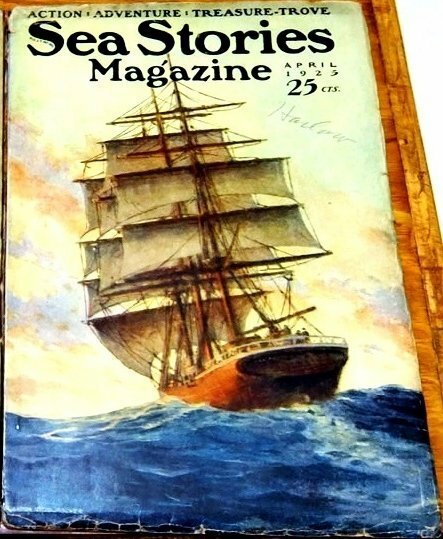 Bookery list 1922-1929 SEA STORIES MAGAZNE as “Uncommon” and the 1930 issues as “Scarce” $10.00 – $25.00 – $50.00. 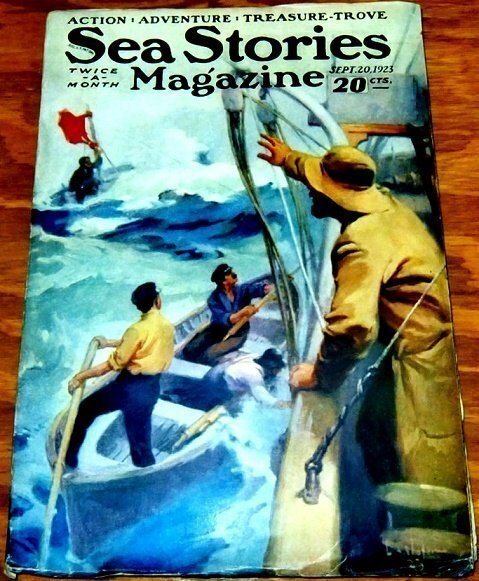 All issues never show up for sale, buyers know it, and usually go for a premium over the listed prices. I’d rate them all as “Scarce”. 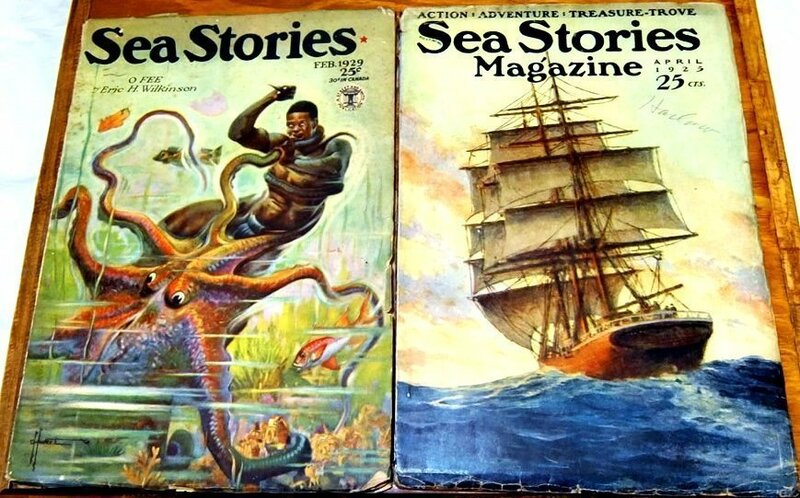 There are four long-run, “generically” titled Pulps that are much more scarce than their “generalized” brethren (e.g. 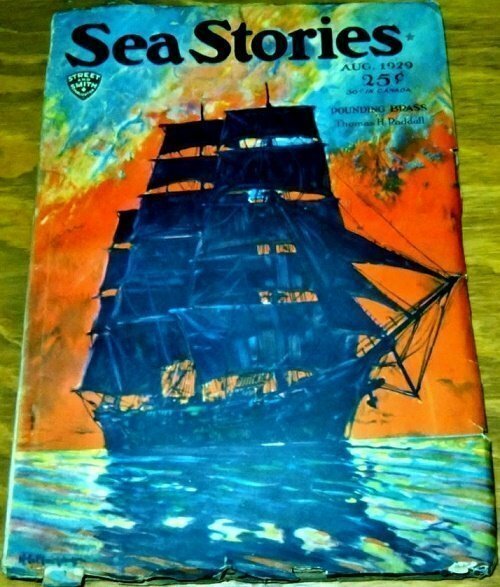 : ALL WESTERN MAGAZINE, PRIVATE DETECTIVE STORIES, RANGELAND ROMANCES, etc.) 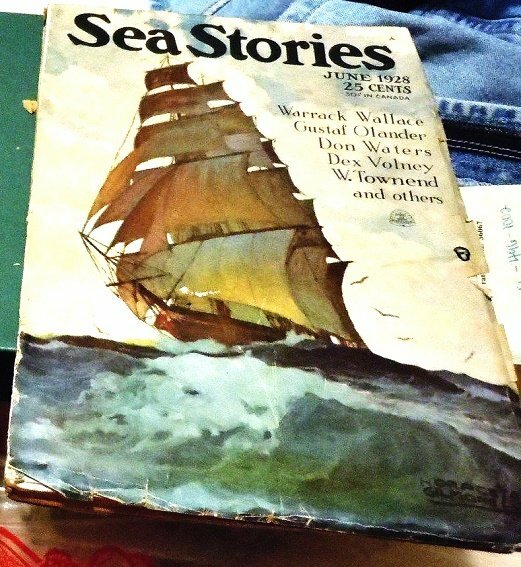 and those are COWBOY STORIES, SEA STORIES MAGAZINE, GHOST STORIES, and 1910-1919 issues of SHORT STORIES. 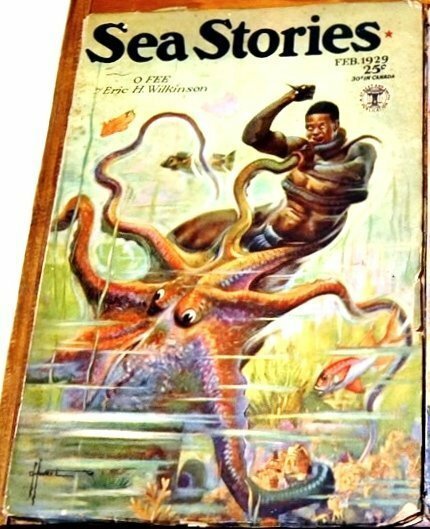 How were the findings of these issues during the early PULP CON CONVENTIONS, were they always as scarce as they seem to be today ?